Born on May 29, 1967 in Waynesboro, Georgia, Gordon was first introduced to music by his late father, Lucius Gordon, a classical pianist and teacher. His interest in the trombone was sparked at age twelve by his elder brother who played the instrument in his junior high school band. Egged on by sibling rivalry, Gordon’s relentless pleading to his parents led to his first trombone. A year later, an aunt bequeathed Gordon her Jazz record collection, and so began his love of acoustic music. 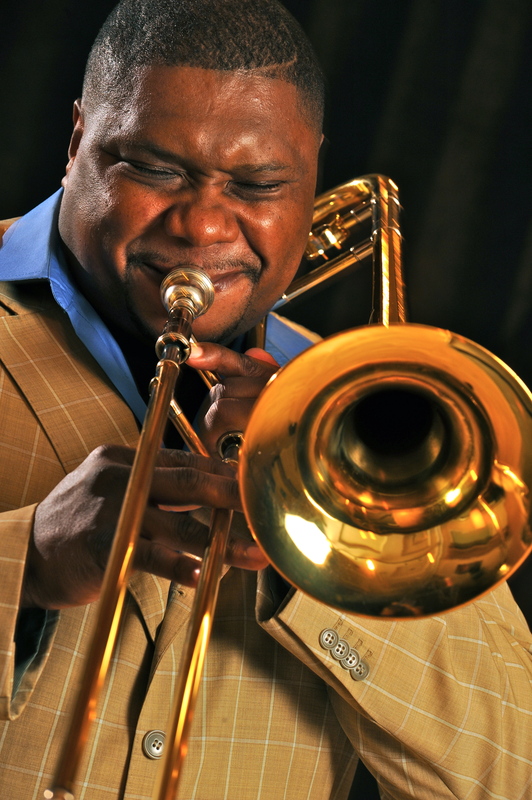 Wycliffe Gordon has an extraordinary career as a performer, conductor, composer, arranger, and educator, receiving high praise from audiences and critics alike. Gordon tours the world performing hard swinging, straight ahead Jazz for audiences ranging from heads of state to elementary school students. His trombone playing mixes powerful, intricate runs with sweet notes extended over clean melodies, and has been hailed by The New York Times as “masterful”. Gordon received the Jazz Journalists Association 2000 Critics’ Award for Best Trombone and has also earned the 2001 Jazz Journalists Association Award for Best Trombone. In addition to a thriving international solo career, he tours and headlines with his own ensemble at legendary Jazz venues throughout the country. Gordon is a formerly member of Wynton Marsalis Septet, The Lincoln Center Jazz Orchestra, and The Gully Low Jazz Band. 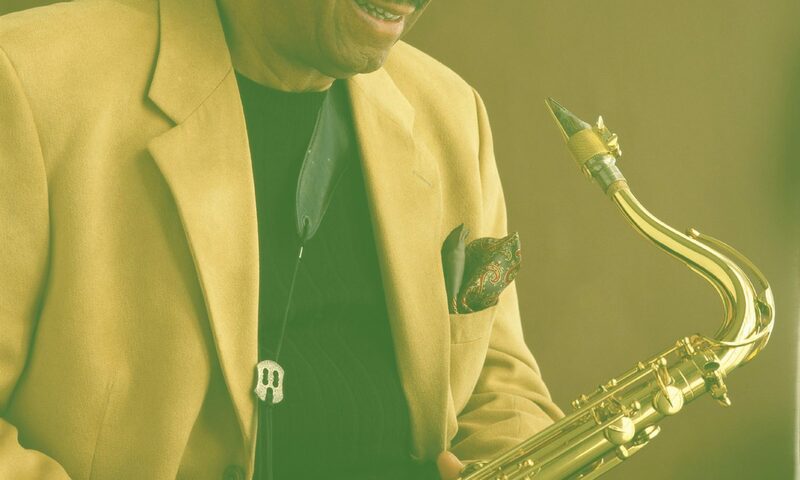 Gordon’s extensive performance roster has included gigs with Dizzy Gillespie, Nat Adderly, Harry “Sweets” Edison, Joe Henderson, Al Grey, Branford Marsalis, Tommy Flanagan, Shirley Scott, Lionel Hampton, and Shirley Horn, to name just a few. Gordon’s musical prowess has been captured on numerous recordings, including 5 solo CDs. His most recent solo release, What You Dealin’ With??! !, was released in November 2001. Gordon is featured on numerous recordings with The Wynton Marsalis Septet, The Lincoln Center Jazz Orchestra, Marcus Roberts’ Deep in the Shed, and numerous others. Gordon is also featured on a soon to be released recording, produced by George Avakian, of previously unrecorded songs by Louis Armstrong. Gordon is also a gifted composer and arranger, and was commissioned to write a vibrant new score for the classic 1925 silent film Body and Soul, which was premiered at the 2000-01 LCJO season opening night performance at Avery Fisher Hall. His works have been performed by The Lincoln Center Jazz Orchestra and the Wynton Marsalis Septet, and have been included in programs at the Gershwin Festival in Switzerland, Carnegie Hall, Jazz Aspen/Snowmass, and as a part of the Marsalis on Music series. The 2000-01 concert season brought premieres of compositions by Mr. Gordon for a variety of ensembles, including Jazz band, symphonic band, concert and gospel choirs in Russia and New York. Gordon’s film appearances have been on the 1999 Grammy Awards, in the PBS special documentary Swingin’ With the Duke, and in two new Live from Lincoln Center broadcasts – Uptown Blues, Ellington at 100 (a collaboration between The Lincoln Center Jazz Orchestra and The New York Philharmonic) and Big Train with The Lincoln Center Jazz Orchestra. Gordon also appeared in Ken Burns’ film documentary series, Jazz. Previous film appearances include the PBS series Marsalis on Music (released on videotape by Sony Home Video), A Carnegie Hall Christmas Concert and Live from Lincoln Center. He also appeared with The Wynton Marsalis Septet in the feature film Tune in Tomorrow starring Peter Falk, Keanu Reeves and Barbara Hershey. Gordon is rapidly becoming one of America’s most persuasive and committed music educators. Currently serving as a member of the faculty of the Jazz Studies Program of the School of Music at Michigan State University. Gordon has also been appointed to the faculty of the newly established Jazz Studies Program at the Juilliard School. His work with young musicians and audiences from elementary schools to universities all over the world include master classes, clinics, workshops, children’s concerts and lectures, and is powerful evidence of his unique ability to relate musically to people of all ages.